We can all agree that the advent of social media forever changed how consumers engage with companies. Over a relatively short time, consumers gained access to public platforms on which to voice their thoughts and opinions. With this newfound megaphone, consumers’ opinions, once constrained to their close friends and family, can now reach the eyes and ears of the world. In the best of cases, consumers promote and propel a new company or service to success, and in the worst, consumers damage a brand’s reputation for years. The discussion about whether or not to offer customer support over social media has been debated inside the walls of every organization. Social media as a customer support channel has become fairly standard. Major brands aren’t just adopting social customer service; they’re making it a priority. Did you know that 67% of companies believe social customer service is the most pressing short-term priority for the contact center (Forrester)? This is largely due to the fact that over two-thirds of customers who contact a company on social media, do so for customer service (J.D. Power). With Facebook’s continued investment in Messenger, which allows customers to engage with companies via private messages, the question is no longer about whether customer service should be offered on social platforms like Facebook, but how to offer this type of social support most successfully. 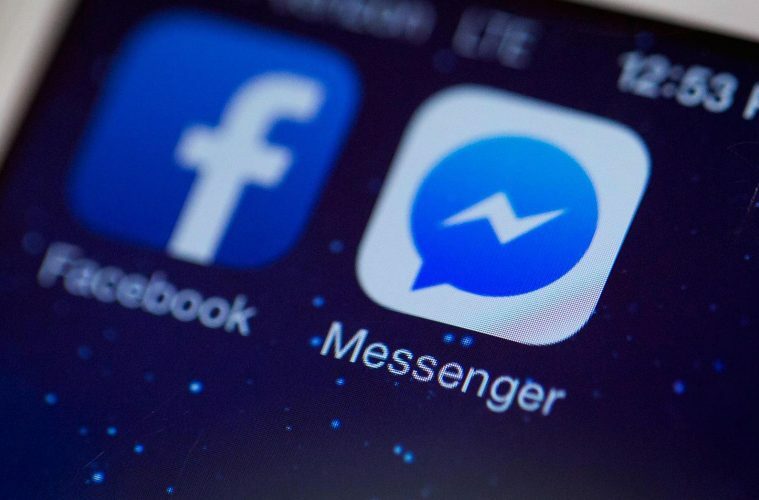 While some companies are cautious when it comes to using Facebook Messenger for business, consumers are actively seeking help on this channel. The first thing to prepare for is the customer’s expectation for a quick response. To give you an idea of what to shoot for, let’s dive into a business Facebook Page. Have you ever seen the Very responsive to messages badge? This badge shows which Pages respond quickly and consistently to private messages. To get the badge, a page must have both a response rate of 90% and a response time of 15 minutes or less, consistently over seven days. Even if this badge isn’t a goal for your business, it does provide insight into what “responsive” means in 2017. Also, know that customers want 24/7 support—issues don’t stop happening on nights and weekends. A study from Convince & Convert found that among those respondents who have attempted to contact a brand, product, or company through social media for customer support, 57% expect the same response time at night and on weekends as during normal business hours. That’s a tall order! But adding messaging actually makes your customer support team more efficient. Not only that, you will see a shift from inbound phone calls to messaging, a significantly less expensive channel. Be sure to respond quickly to your customers over messaging, just as you do with your other channels. trying to resolve an issue. Helping customers on their preferred channel, in their preferred time frame, can give customer support CSAT scores a boost. But to communicate on Messenger effectively, businesses need to understand the difference in cadence with this channel. With all other channels (phone, email, web chat) the company is able to control some or most of the interaction speed. Using Messenger for business, and messaging in general, is different. Customers control the pace of the conversation, not the company. Because customers will message a business just like they do a friend, they will expect companies to respond similarly. If the customer is active and highly engaged, messaging quickly, they will expect your agents to follow suit. However, if they constantly shift gears and thus the pace of the interaction because life gets in the way, they will expect you to adjust as well. In addition to being a great customer service solution, Messenger can also be a powerful pre-sales resource. A potential customer perusing your Facebook page, may not want to ask a question on your wall because it is such a public forum. Messenger is an avenue for potential customers to ask questions privately while they’re considering making a purchase. Giving customers a high-touch and responsive experience can provide them just what they need to pull the trigger on a purchase. Make sure agents are ready to answer questions, provide suggestions, and guide customers through their purchase experience without being too pushy. Customers will be turned off if they feel they’re being pressured, but appreciate thoughtful suggestions to help them along their purchase decision path. Providing an effective Facebook Messenger support system is a great way to provide users with the support they’re looking for via their preferred communication channels. Just as Facebook Messenger is frictionless for the customer to use, because your agents are also customers, they too are already comfortable with the channel. It takes someone thoughtful in their communications to handle the art of responding on behalf of your organization over social media. Most companies have a healthy fear of social media channels such as Facebook, and although more private, this is still something to consider when using Messenger as a support channel. Make sure agents are well-versed in social support and receive coaching before setting them loose. That said, a messaging solution can also be a fantastic training solution, if the technology allows behind the scenes coaching and collaboration. Managers can watch a conversation unfold or be available to help an agent in the background, without the customer knowing. And, with the correct system in place, an agent can transfer the conversation to their coach, or a manager can easily jump in take over a conversation if needed. When the right agents, with good social media judgment, are in place, you can give them the power to get it all right with technology. Those that contact Facebook Messenger support for your business should have a seamless experience, from initial contact to conclusion. When the right agents—and good social media judgment—are in place, Messenger can be an effective way to improve customer outreach and support. 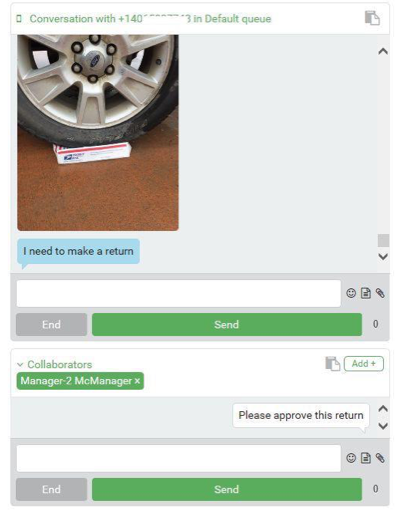 As the saying goes, “A picture is worth a thousand words”, so goes customer support! Facebook Messenger is a rich, multimedia-capable channel that includes emojis, images, videos, and stickers. Customers send their friends and family photos to help explain things more easily, so give them the opportunity to interact with customer support in the same way. Agents should feel prepared and comfortable to send and receive images and videos to help them get to the bottom of an issue. The ability to use images and emojis, coupled with text shortcuts or snippets, can shorten the interaction time, solving the issue faster and at a higher satisfaction level. Set agents up with a stockpile of relevant media, or give them the ability to snap photos and video on the fly to handle common issues. Also, don’t overlook the personalized touch of using emojis! Tactfully using emojis or stickers in messages is an easy way to infuse personality and emotion into support interactions. The debate of which department should own social media has occurred since Facebook’s inception. By now your company likely has a process for addressing inbound support inquiries, product comments, customer posts, and outbound social engagement on your Facebook page, and whether it’s the role of customer service or marketing to jump in depending on the situation. Many, if not most, inbound messages you receive in Messenger will be support or pre-sale inquiries. Make sure to work closely with marketing to establish a protocol that ensures timely, knowledgeable responses by the right people. Or opt to have customer support own the Messenger platform all together! 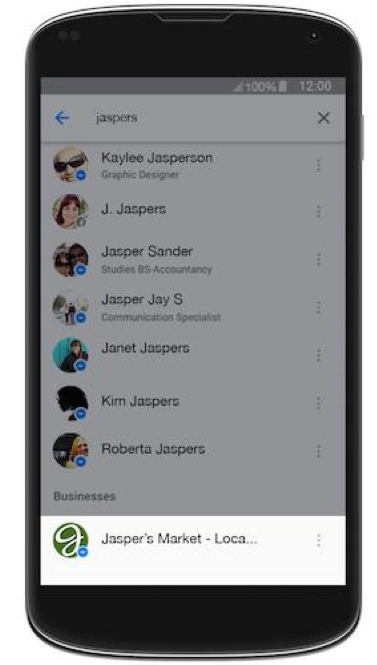 After Messenger is enabled, make sure customers can find you. 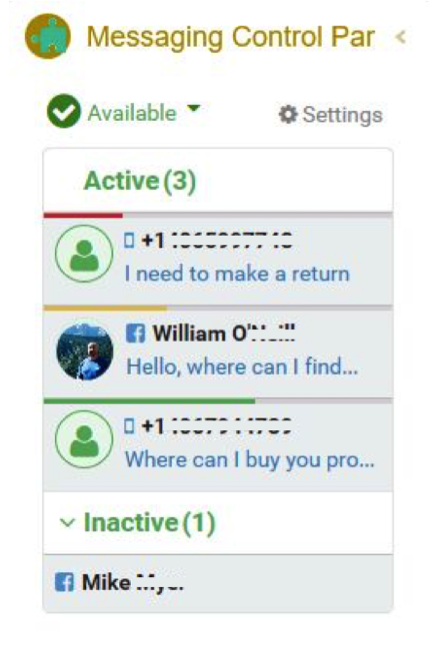 Of course, your customers will be able to send you a message by clicking the “Send Message” button that’s now on your page. But it’s important to also make sure your business page username (indicated with the @ symbol before it), is also set. 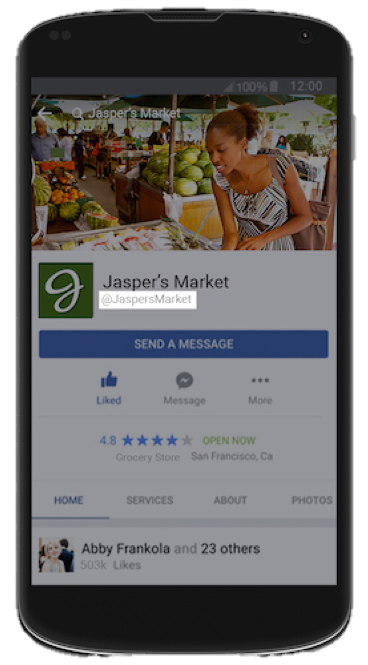 This will help customers find your business on both Facebook and the stand-alone Messenger app. Another option is to use Messenger Links, which use a Page’s username with the URL (m.me/username) that, when clicked, opens a direct conversation with your business in Messenger. Simply add your username to the end of the m.me/ to create your Link. Ever wondered what those crazy blue circles were that you keep seeing in Messenger? These are Messenger Codes, which work similarly to Messenger Links, but users scan the code using a phone camera to open a new message. 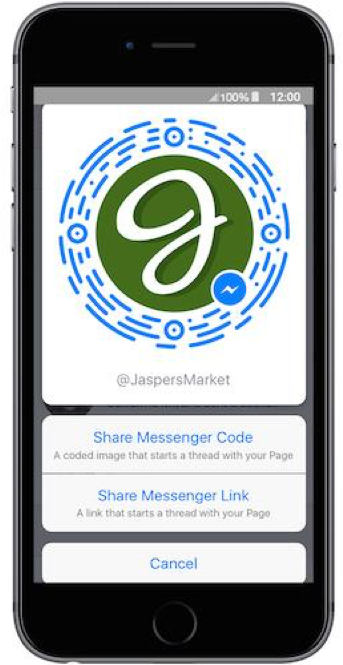 You can use Messenger Links and Codes in ads, on your website, or any other marketing channel to give your customers a direct line to engage with your company. 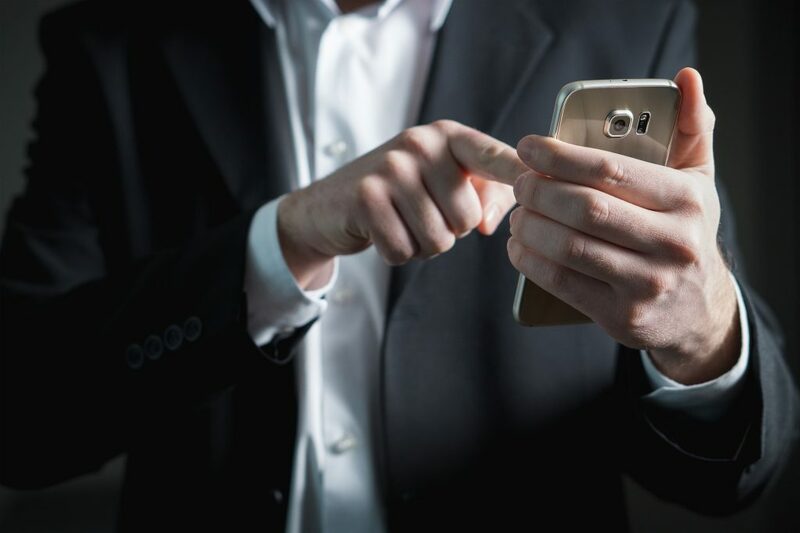 With the right solution in place, Facebook Messenger can make both customers and agents feel more productive and empowered. 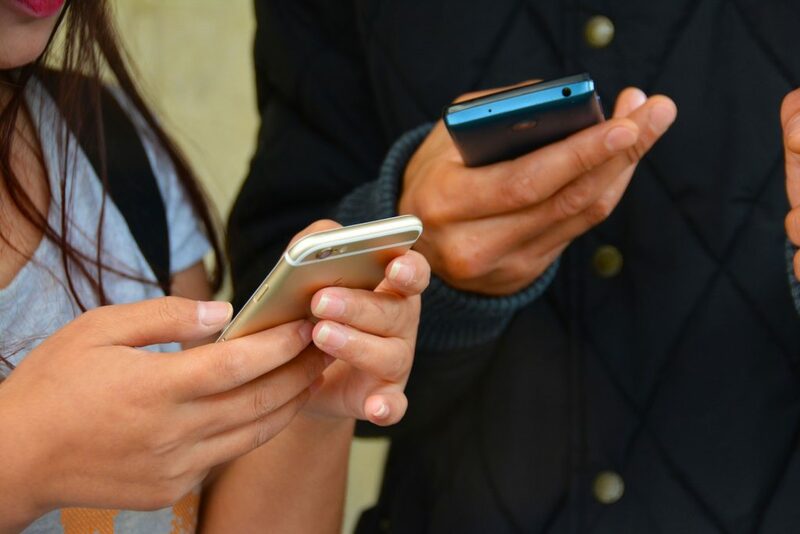 Learn more about how Quiq’s technology connects customers and companies via Facebook Messenger, SMS, and Kik, making for more efficient service and happier customers.